Kendrick White, the vice rector for innovation policy at the Lobachevsky State University of Nizhny Novgorod and CEO of Marchmont Capital Partners, presented his innovation support philosophy to federal authorities at Open Innovations. Just as a reminder, the Open Innovations international forum took place between October 31 and November 2 in Moscow. The event brought together government people, international business leaders and top-notch experts to discuss newest technologies and prospects for global collaboration in innovation. 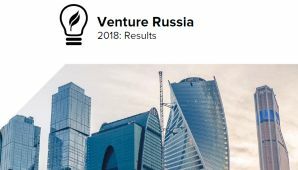 As an expert in regional innovation development in Russia, Kendrick White participated in a roundtable discussing the competitiveness of Russia’s regions in the global innovation economy. “I spoke about the importance of developing the full set of infrastructure in creating Russia’s regional innovation clusters,” he later shared with the Marchmont website editor. He underscored that the full set of infrastructure is not only techno-parks and business incubators and large scale projects. It also requires the development of small scale early stage support programs such as proof-of-concept centers and venture accelerators which can help students, innovators and entrepreneurs, professors and science to understand how to commercialize their ideas. ”We all know Russia’s fantastic science and high level of fundamental developments. However, it’s very hard to commercialize,” Mr. White pointed out. ”I spoke about this in my presentation to Anatoly Chubais and to the governments of Russia’s most progressive innovation regions, and I spoke about the need to develop ecosystems inside of universities,” the Lobachevsky University vice rector said. An ecosystem, in Mr. White’s vision, is a network of proof-of-concept centers, venture accelerators and incubators. The infrastructure can help determine the commercial viability of new fundamental science and innovation technologies, and then package those ideas into the real business. ”I explained the great work that we’re doing here in the Lobachevsky State University of Nizhny Novgorod, developing our new Commercialization Center. 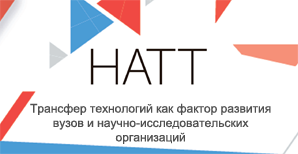 The Center will include Russia’s first-ever proof-of-concept center (PoC). For me, this is so very exciting,” Kendrick White said.